Using the IBM Workload Deployer plugin provided with RAD, you can deploy a web application virtual application pattern directly from the RAD environment. Here I will explain the steps to install this plugin. NB: The steps are explained for RAD 8.0 and Workload Deployer plugin 1.1.1, for other versions the installation and setup could be slightly different. – Setup the connection between RAD and the IWD environment (IWD/SCAS or PureApplication). – Add an application: You can setup the plugin, in order to deploy a give application on the cloud. – Start an application: This will provision the virtual application pattern on the cloud. – Stop an application: This will decomission the running pattern from the cloud. – Publish an application: If you change the code and you would like to republish the new application on the running pattern, just a click and it is done. 1) First you have to launch the ‘IBM Installation Manager’ and select ‘Modify’ and then your Package group name. 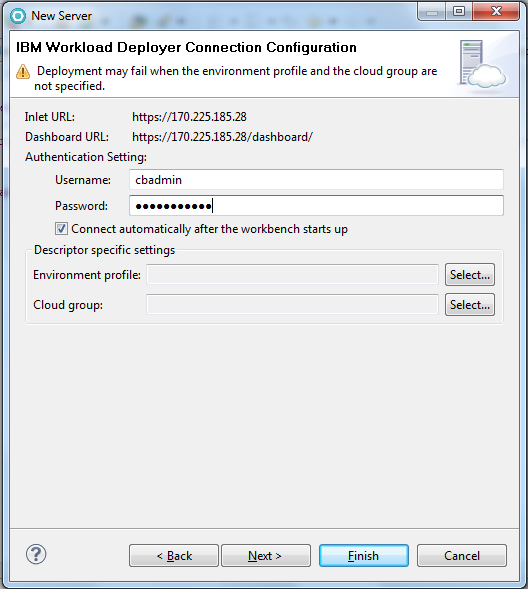 3) Select the ‘IBM Workload Deployer development tools’. PS: Also be sure that the WebSphere application server v7.0 stub is installed. 1) Open your RAD Environment. 2) Open the view ‘Servers’. 3) Right-click and select ‘New’->’Server’ from the ‘Servers’ view. 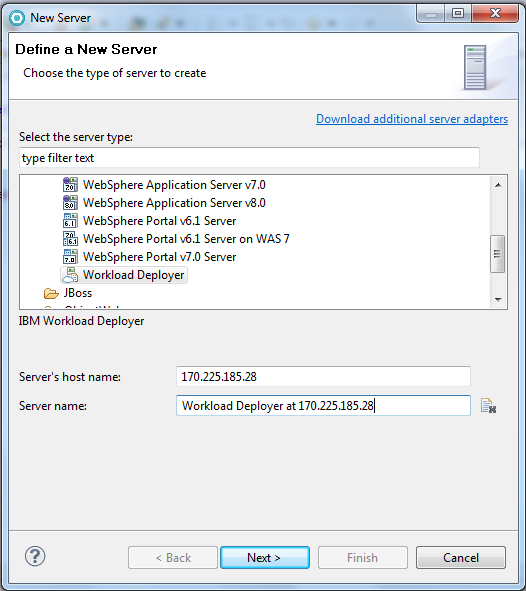 4) Select the ‘Workload Deployer’ from the ‘IBM’ folder and enter the IP address of your workload deployer instance. If you are using SCAS, this is the IP address of your SCAWS service. 5) Click Next and enter your IWD user name and password. 6) We have to define a cloud group as target for our deployment. 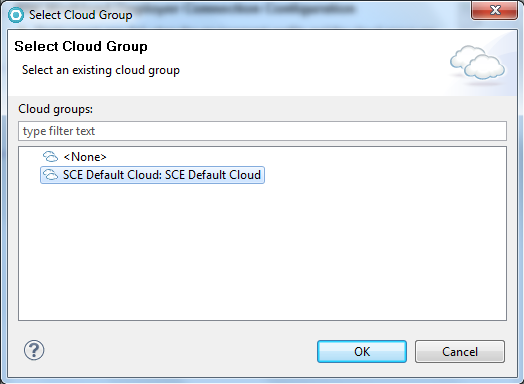 So, click on ‘Select’ next to the ‘Cloud Group’ field and select your preffered cloud group. Here as I’m working with SCAS, it is the SCE cloud group. 7) Click ‘OK’ and ‘Finish’. 9) We have now to attache an application to this IWD instance. 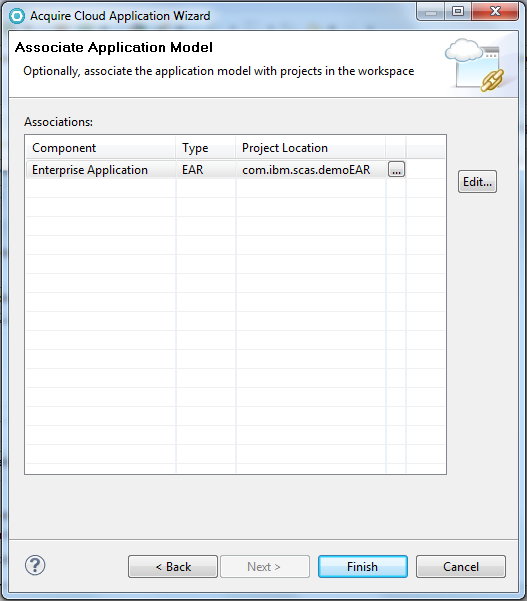 10) Right-click on the ‘Workload Deployer’ and select ‘Acquire Cloud Application’. 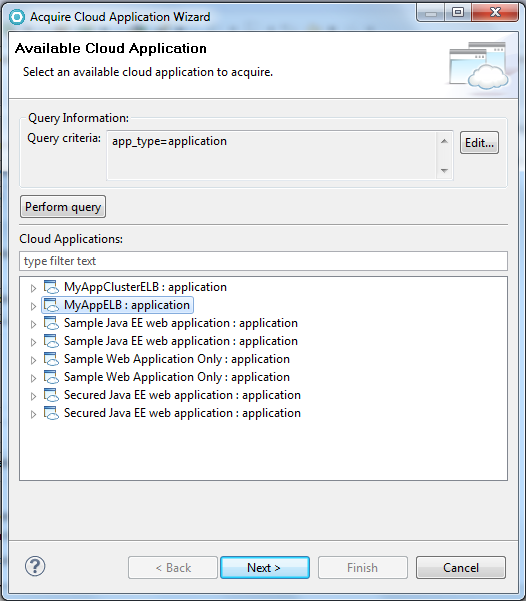 Click on ‘Perform query’ and select the virtual application pattern you would like to use for the application. 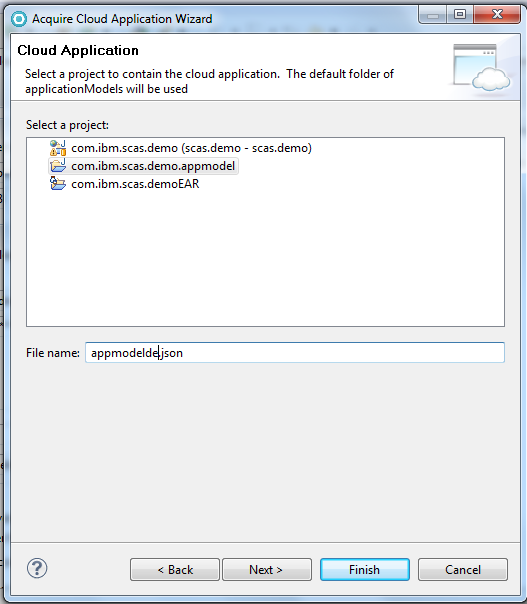 11) Click Next and select the appmodel.json file location. 12) Click Next and Select the EAR file you would like to deploy for this application. By double-clicking on the generated ‘Workload Deployer’ entry, you open its configuration and it is possible, depending on your location and the data-center where you deployed the service, you have to increase the ‘timeout’ parameter. 1) Expand the Workload Deployer from the Server view. 2) Right-click on the appmodel and select ‘start’ (it is possible that you have first to do a ‘publish’ from the above workload deployer line to make the ‘start’ enable). Select the Workload deployer, right-click and select ‘Publish’. After you finished your test you can stop the application which will have for effect to deprovision the running pattern from the cloud. For the appmodel line, right-click and select ‘Stop’. CAUTION: Don’t select ‘Remove’, this will delete your virtual application pattern from the IWD instance.